While many businesses slow down for the summer, be it for staff on holidays or year-long projects being mid-cycle, Q3 has been as busy as ever for Influential. 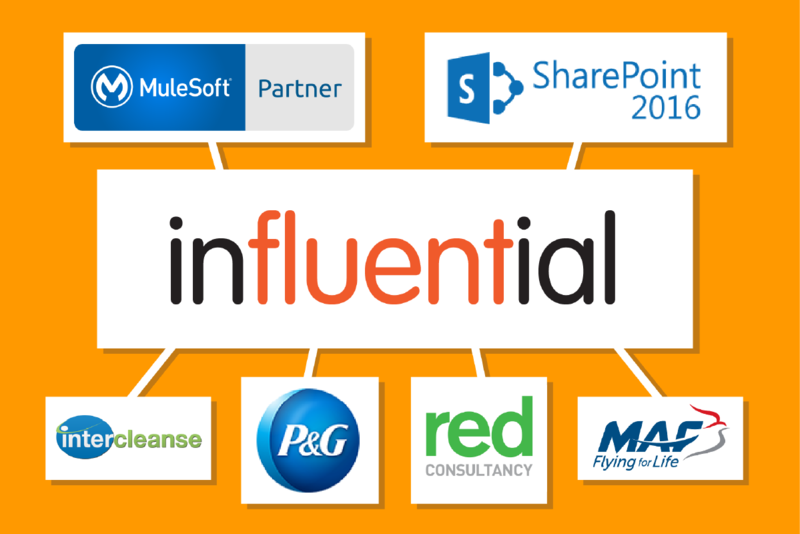 A big announcement in Q3 was the unveiling of Influential as official MuleSoft Partners. As well as our teams undergoing intensive training, we also launched a dedicated MuleSoft website and our teams now working directly with MuleSoft on upcoming projects. We were also pleased to see a healthy collection of new clients join us along with a wide spread of new and exciting projects across all of our technology specialisms. As Influential continues to grow, so have our staff numbers. With key members joining teams across the company we’ve also said goodbye to a few Apprentices from the 2015 Apprenticeship intake. As we prepare to take on new interns, we took the chance to look back at the 12 months the Apprentices worked alongside our Software Development teams. It’s now official – Influential are fully certified MuleSoft Partners! Our Software Development, Sales and Marketing departments are working directly with the MuleSoft teams, driving digital transformations to businesses with application networks. The Software Development team are no strangers to MuleSoft technology, having years of experience working with MuleSoft ESB. Q2 saw the launch of our Atlas Publishing Intelligence platform, a customisable reporting solution built upon the open source MuleSoft ESB framework. To find out more, why not come along and talk to the Influential team at the MuleSoft Summit London – hurry, it’s on Wednesday 19th of October! Or check out the Influential-Mulesoft website for more information on the MuleSoft Anypoint Platform. All our teams have been busy with new projects in Q3, but perhaps one of the most in-demand technologies we have seen is Microsoft SharePoint (our SharePoint website launched in Q2 this year). The SharePoint team projects have included SharePoint Upgrades and Migration, but also delivering bespoke SharePoint training to clients on-premise. A host of new projects launched in Q3 this year. Many of these were for new clients, ranging from London-based businesses and UK charities through to global corporations, who we all know through well-known household brands. We are already seeing successful results from these projects and we are already keen to drive their businesses further. It is important for any business to cultivate excellent client relationships. This has always a core focus for Influential. As a result, we have successfully continued to work with a several of our clients for over 20 years. P&G – also know as Procter & Gamble Co. – are home to a huge range of well known, very popular household brands. Founded in the US in the 1800’s by William Procter from the UK, and James Gamble from Ireland, the company has continued to grow into what is today one of the few truly global consumer goods companies.While made up of many individual brands, each serving customers in different ways, P&G ensure all their brands focus on making the people’s lives easier, “making your day better—in small but meaningful ways”. P&G also take leadership seriously. So as well as improving the moments in consumers daily lives, they also see it as their our opportunity and responsibility to improve the communities in which they live and work and the lives of their employees. Influential are proud to have worked on internal projects with such teams. Intercleanse offers a huge range of commercial and contract cleaning services to businesses. As well as providing every type of general cleaning services range you may expect, the business includes a raft of specialist divisions headed by experienced directors. Teams include professional vehicle cleaning, kitchen deep-clean, builders and shop-fitting cleans, and pest control. There is also a specialist clean-up services team for crime and trauma scenes and the business is an active member of the National Academy of Crime Scene Cleaners. Based moments away from Gatwick Airport, Intercleanse has been growing since they began trading in 2001. Founded by members with vast experience in the cleaning sector the business works closely with its sister company which supplies a full range of specialist cleaning equipment and materials. The business is committed to delivering to the highest standards of cleanliness and hygiene at all times. It also invests in its staff, who receive ongoing training and assessment to maintain the exacting standards of Intercleanse. As Intercleanse continue to grow so too have their IT requirements. Influential are working closely with Interserve to provide extensive IT Support and Software Development. Red (Red Consultancy) is a highly creative, multi-specialist Public Relations agency. Their core strengths lie in creativity and keen consumer focus, talking to audiences in a real and engaging manner. Maintaining excellent client relationships is a source of pride for Red, who as a result have had a number of clients working with them for over 10 years. Since foundation in 1994, Red have won over 50 campaign awards for their work with some of the world’s leading brands and companies. They are a subsidiary of Huntsworth, an international communications and public relations group operating from 62 principal offices in 29 countries providing services to c.1,870 clients. Red has specialities in various markets, including corporate, healthcare, technology and digital services. Influential are proud to be work with Red to help expand the skill-sets and expertise they offer. The Mission Aviation Fellowship (MAF) is a Christian mission organisation that helps vulnerable people in hard-to-reach places all over the world. In fact, a MAF plane takes off or lands every three minutes in remote locations, delivering vital aid to those who need it most.For millions of people living in jungles, mountains, even swamps, getting medical and educational help would be impossible without the help of charities like MAF. Their pilots and personnel deliver relief workers, doctors, pastors, school books, food, medicines – everything that can only be safely and speedily delivered by air. A truly amazing service.Influential are proud to be working with the UK branch of MAF to help improve their information management systems.